Age: Maximum 50 years and below as on 1st January of the recruitment year. (Relaxable for Non-CCRH Govt. servants as per Govt. of lndia (DoPT) orders. No age bar for the employees of CCRH). 2.,8 years experience after obtaining degree/diploma out or which 06 (six) years experience should be in research/teaching in a recognized institution/College/University. 3. Enrolnent on the Central Register of CCH or State Register ol Homoeopathy. 4. Proliciency in English & Hindi. l. M.D. in Homoeopathy from a recognized Statutory Board/Council/University included in the Second Schedule to Homoeopathy Central Council Act. 1973. 2. 05 (five) years professional experience after obtaining degree in Homoeopathy Medicine out of which 03 (three) years experience should be in Research,/Teaching in a recognized Institution/College/University,. 3. 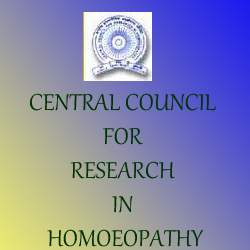 Enrohnerrt on the Central Register of CCH or State Register of Homoeopathy.